Our client, who only had her learner’s permit, wanted to go to a summertime, midnight movie with her boyfriend. Our client was sixteen. She asked her mom if she would drive them or go with them, as our client knew she needed an adult with her while driving as a condition of having her learner’s permit. Her mom said no, as she had to get up early the following day for work. Our client, a junior in high school, was one month away from getting her regular license, having completed five of the six month probationary period with her learner’s permit. In a Nutshell: Sixteen-year-old client takes her mom’s car while mom is asleep to got to midnight movie with her boyfriend. On her way to the Torrance movie theater, she crashes into another car, but luckily no one is hurt. 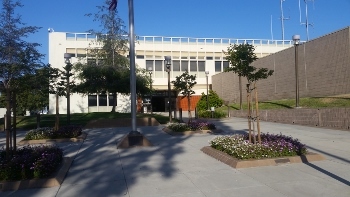 Case resolved for an infraction in Van Nuys Juvenile Traffic Court. Our client decided to go anyways. First, she went to bed at her normal time of about 10 p.m. She lived with just her mom in Torrance. Her mom then went to bed and fell asleep shortly after 10:30 p.m.
Our client then got out of bed, dressed herself, called her boyfriend and wrote a note to her mom telling her she was going to a movie and not to worry. She then grabbed the car keys and left. She drove a short distance before picking up her boyfriend. The two then drove to the AMC Theater near the corner of Pacific Coast Highway and Crenshaw Boulevard. As the two were making the left turn from Pacific Coast Highway onto Airport Drive and into the movie theater parking lot, a car traveling the opposite way seemed to appear out of nowhere. Our client slammed on her brakes, but it was too late. The two cars collided. Luckily, no one was hurt, or so it seemed. This was especially lucky because our client’s boyfriend was in the front right passenger seat and his side of the car received the full impact from the other car. Both cars were totaled. The Torrance Police Department responded quickly to the scene, as did our client’s mom, who was not too pleased by the events. She had to get a ride to the scene by a friend. The Torrance Police were extremely nice and much more concerned with the possible injuries due to the obviously significant collision. They hurriedly cited our client for driving without a valid license (Vehicle Code § 12500) and driving without insurance (Vehicle Code § 16029) and released her to her mom. The ticket directed her to report to the Juvenile Traffic Court in Van Nuys about two months later. The police completely overlooked the joyriding events (Vehicle Code § 10851). About a month later, the client and her mom came to Greg Hill & Associates with many questions. They had received a letter from a personal injury attorney representing the other driver, who claimed injuries from the accident. They had also received correspondence from the DMV, which they did not understand. Greg met with the client and her mom and recognized the joyriding issue. Greg explained that he thought the traffic court would read the police report and quickly reject the case for a mere traffic ticket. Instead, the matter would be assigned to juvenile court for a theft offense, joyriding. Greg explained that if joyriding were treated as a traffic offense, it carried with it a fine of up to $5,000, plus penalties and assessments, which could mean a total payment to the court of close to $15,000. Greg commented that it would be better, financially, if the joyriding were alleged as a misdemeanor in the juvenile court so the client could earn a dismissal and then seal the record if she successfully completed home on probation or a diversion program (with very minimal court fees instead). Greg then explained how the juvenile court system works and the various diversion programs available to juveniles, especially Welfare & Institutions Code § 654. Greg suggested that the client enroll in and complete an online safe driving program to show the court that she was taking steps on her own to ensure she did not commit the same acts again. Greg then responded to the letter from the personal injury attorney and contacted the Torrance Police to get a copy of the police report. Greg drove to the Torrance Police Department and got it in person. Greg then wrote a sentencing brief for the judge in the traffic court, fearful that the judge there would punish our client severely for the incident, including the theft. However, Greg carefully prepared the brief so as to avoid any detailed discussion of the joyriding. Instead, the brief emphasized the client’s good grades, community involvement and her remorse over the events. Greg included the completion certificate from the safe driving course and the client’s resume. Greg, the client and her mom then appeared in the traffic court, amazed that the case had not yet been reassigned to the juvenile court on the joyriding issue. Instead, the judge fined our client $50 for each infraction, totaling $500 in all. The joyriding issue escaped the judge until he paused at the end of the hearing, noticing the issue for the first time (but after he already sentenced our client). The client was extremely happy, as was her mom, and grateful that the judge refused to really look at the facts of the case, perhaps because he was hesitant to read a lengthy sentencing brief with numerous exhibits. Instead of educating the judge, the sentencing brief caused the judge to resist reading about the case. This ironically preserved the police officer’s failure to notice the bigger crime and protected our client from a criminal record for theft. Can Restitution for a Totaled Car Include Car Loan Interest?